SearchResearch Challenge (7/27/16): Mind the gap! ... are sometimes the ones you don't see at first. They're the kind of little things that slowly creep into your consciousness and make you wonder... why is it that this is so?? Long-time readers will remember the one of the harder Challenges of the past ("How much death at the roadside?") 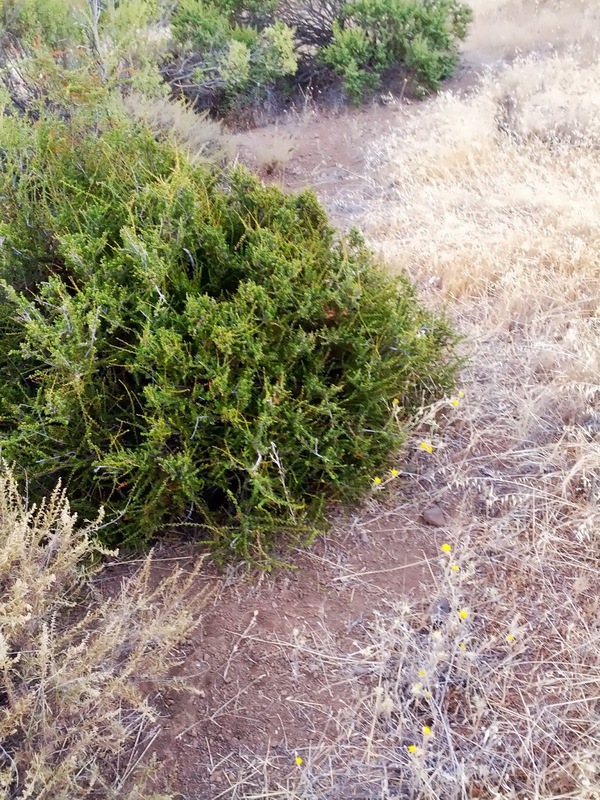 when we tried to figure out why there are gaps in the plant cover next to many roads in California. We discovered in that Challenge that the state Dept. of Transportation (CalTrans) regularly sprays herbicide on the edge of the road to prevent weeds from taking over the road. 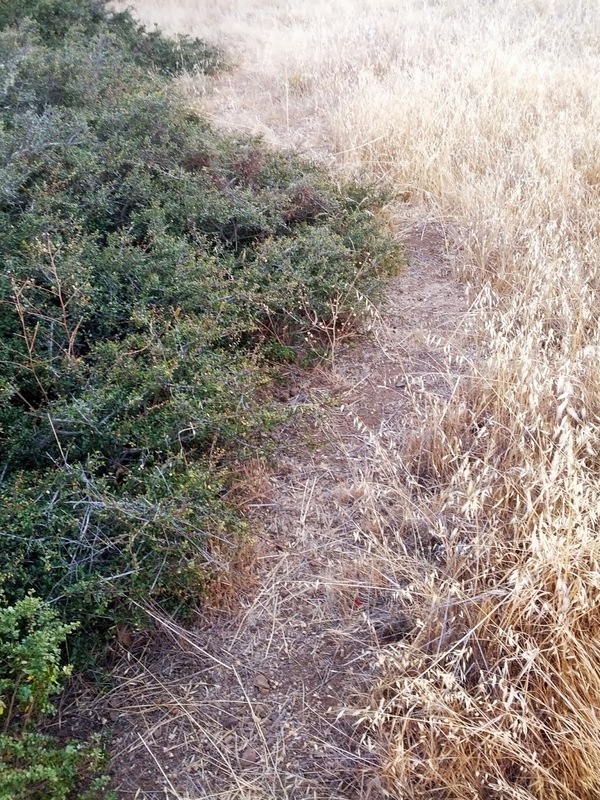 This week we have another "gap in the weeds" Challenge. Not long ago, I went for a run up on Black Mountain, one of the local peaks in the Santa Cruz mountain range. If you look carefully on the right side, you can see the typical summer-time wave of fog coming in from the Pacific Ocean. 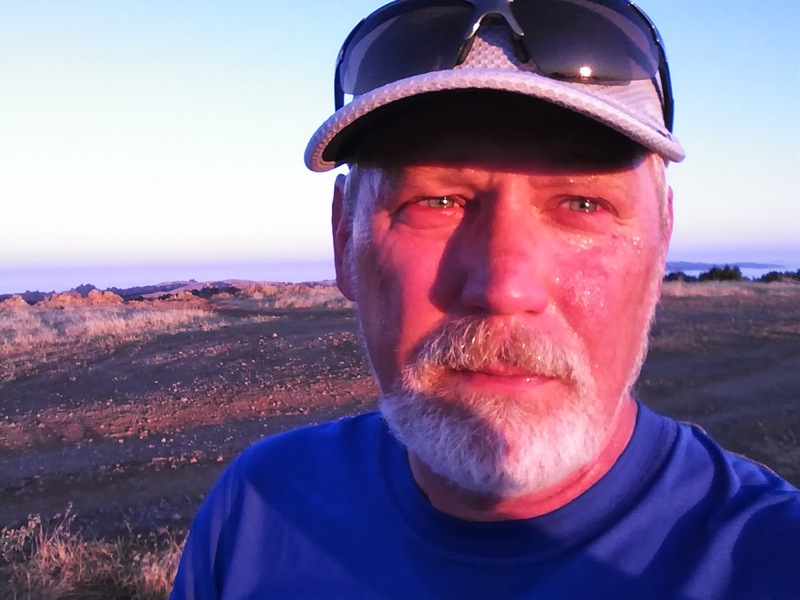 On typical summer evenings, that fog (aka "Karl") comes in from the sea to cover San Francisco. Luckily, Black Mountain is usually high enough that the fog comes around, not over, the peak. 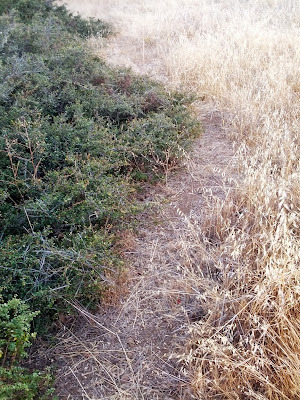 What struck me about each of these pictures is that there's a noticable gap between the green plant and the grassland next to it. Oddly, this doesn't happen ALL the time, but it does happen a lot. The plants here are chamise (Adenostoma fasciculatum), but I'm pretty sure I saw gaps like this around coyote brush (Baccharis pilularis) in the same area. 1. What causes the odd, plant-free gap around the plants in these photos? So... What's causing this? Any ideas? Let's do some of that SearchResearch and figure it out! Once you've figured it out, be sure to let us know HOW you figured it out. What sources did you refer to? And best of all, how did you know to search for that? We all want to learn from your crazy SearchResearch skills! ... is one of those basic skills we have to develop as SearchResearchers. But it's also something that we encourage in our students, and in critical thinking in general. "Compare and contrast the American Civil War with the French Revolution. In what ways were they similar?" That's a typical assignment for school, but the ability to find interesting and useful connections is an important ability. What are the connections as highlighted below. Note that for all of these images, you can use Google Search-by-Image to identify the people, places, and logos. 1. What's the connection between these two people? 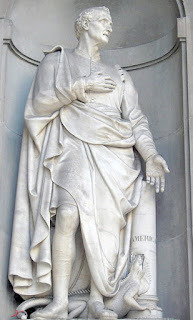 This is Amerigo Vespucci's statue in the Uffizi Gallery, by Gaetano Grazzini (Florence, Italy). And this is Simonetta Vespucci. 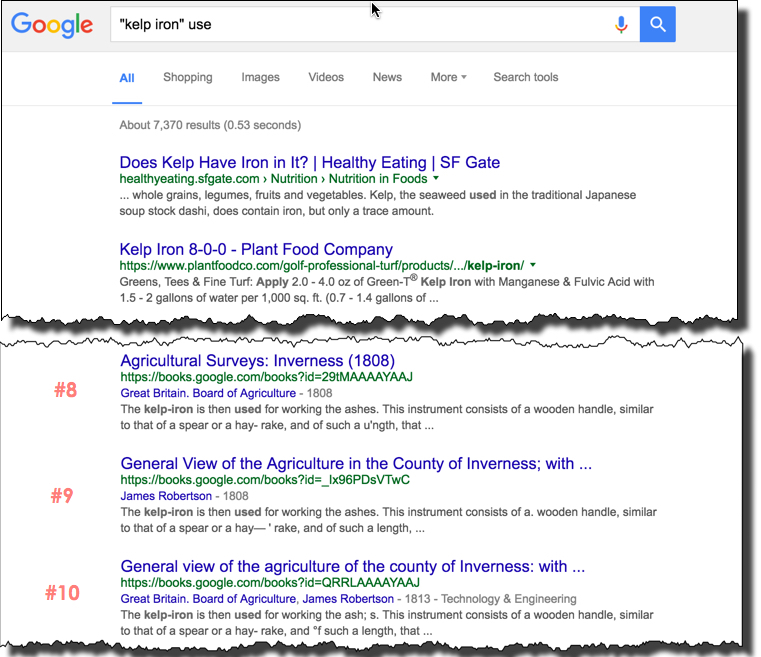 I usually then open several tabs from the SERP to quickly get several perspectives on what's in common between them. Simonetta was an incandescent beauty, the "it" girl of Renaissance Florence until her untimely death at age 34. 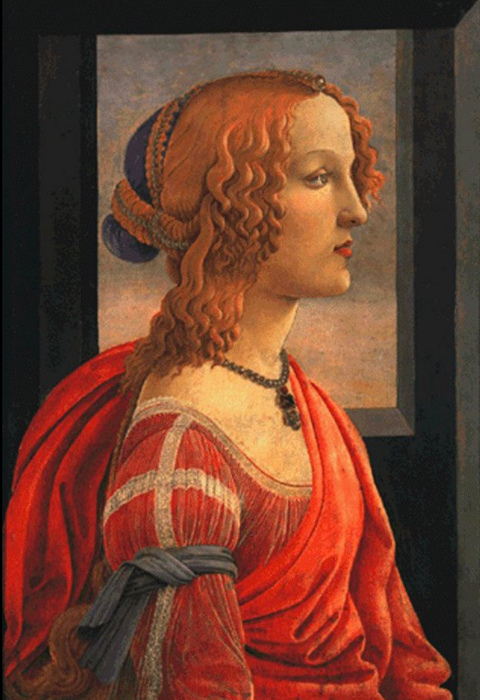 She was also, apparently, the muse of the famous Florentine painter Sandro Botticelli, who painted both the picture above, and this portrait below. 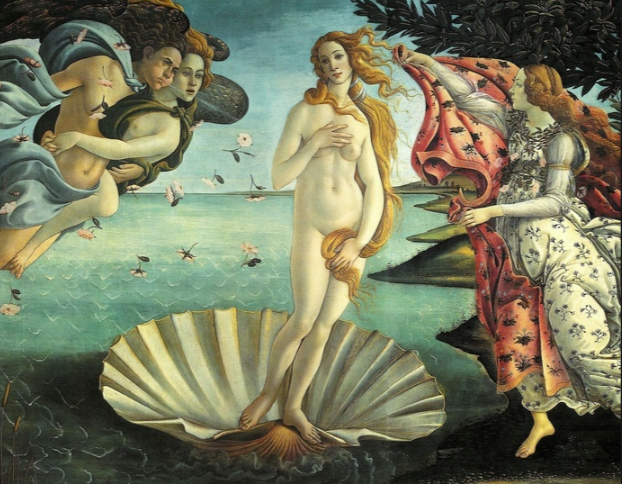 Widely considered the most beautiful woman of Florence, it's also thought that Simonetta was the model for the picture of The Birth of Venus, which you've seen before. Connection: Amerigo Vespucci was Simonetta Vespucci's cousin-in-law. 2. What's the connection between this company and this house? It's a quick search to find that this is the logo of Mitsubishi. The Mitsubishi Group (三菱グループ, Mitsubishi Gurūpu) is a closely-linked set of autonomous Japanese-headed, multinational companies in a wide variety of industries. Just another reverse-image search to find that this is the house of Thomas Blake Glover. This leads to some remarkable information: In reading about the life of Thomas Blake Glover, we learn that Glover was a key figure in the industrialization of Japan. For this SearchResearch Challenge, he was instrumental in helping found the shipbuilding company which later became Mitsubishi. In particular, Mitsubishi's web site points out that Glover, invested in developing the Takashima coal mine on an island near Nagasaki in 1868. Their mine was the first in Japan to employ Western methods of mining. Even so, Glover later had to sell his stake, but he stayed on as manager of the mine for several more years. Mitsubishi acquired the mine in 1881 in the organization's first main diversification beyond shipping. Japan lacked modern facilities for repairing ships. So, Glover imported the necessary equipment for a slip dock in Nagasaki in 1868. He later sold his share to the government, which leased the dock to Mitsubishi as part of the shipyard in 1884. But there's more! He helped to negotiate the sale of the Spring Valley Brewery in Yokohama, thereby setting up the Japan Brewery Company, which later became the major Kirin Brewery Company, Ltd. (An urban myth has it that the mustache of the mythical creature featured on Kirin beer labels is in fact a tribute to Glover, who wore a similar mustache). By contrast, his house and garden in Nagasaki, Japan, attracts millions of visitors each year. 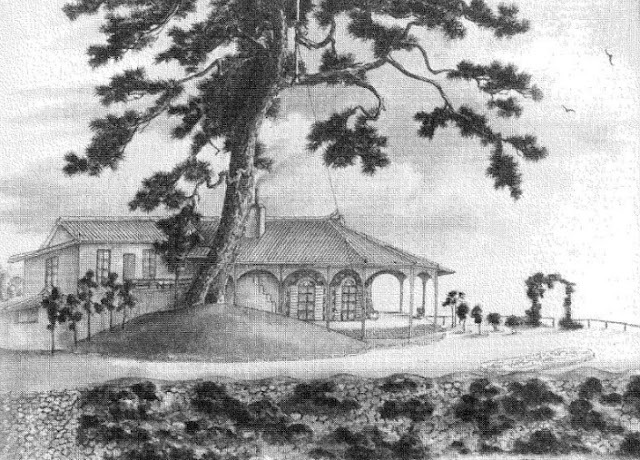 This is an 1863 drawing of Glover House in Nagasaki (グラバー園 Gurabāen), the oldest western-style building in Japan. Known in Japanese as Ipponmatsu (Single Pine Tree), the tree was chopped down in the early 20th century. 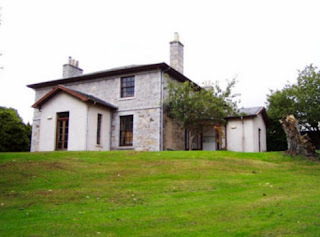 Connection: The house shown was lived-in by Thomas Blake Glover, who went to Japan back when that was a rare thing, and helped to startup Mitsubishi. 3. What's the connection between these two people? 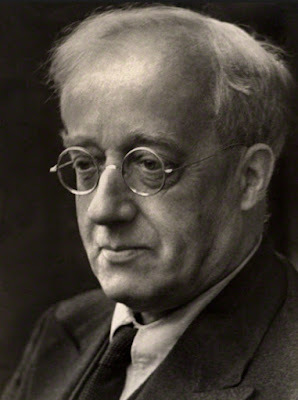 Reverse image search tells us that this is Gustav Holst, the famous British composer (1874-1934). Best-known for his classical pieces, notably his orchestral masterpiece The Planets. Interestingly enough, about halfway down the page of the SERP, I see both Holst and Siddal's name in the same snippet. Normally, I wouldn't think of Pintrest as a reliable source, but a clue is a clue, you take them where you can find them--and in this case, it leads on to discovery. If you click through on that result "In the Bleak Midwinter-Christina Rossetti" you'll find a page that says, intriguingly enough: "In the Bleak Midwinter-Christina Rossetti. 1872.... see it put to music by Gustav Holst." You don't suppose there's a connection between Christina Rossetti and the composer of "In the Bleak Midwinter" do you? we find that "In the Bleak Midwinter..." is a Christmas carol based on a poem by Christina Rossetti, the sister of Dante Rossetti, written before 1872. It was published posthumously in Rossetti's Poetic Works in 1904. The poem became a Christmas carol shortly after it appeared in The English Hymnal with a setting by Gustav Holst in 1906. Incidentally, Elizabeth Siddel was Rossetti's muse, and towards the end of her life, his wife. Their relationship was always rocky, with on-again-off-again engagement for years. They finally married in 1860. The couple had a stillborn daughter and she became addicted to Laudanum (an an alcoholic solution containing morphine, prepared from opium and used as a narcotic painkiller). In his grief, Gabriel Rossetti buried the only manuscript of his poems with her. The poems, nestled in her coffin next her famous copper hair, haunted him. Seven years later, he had her coffin exhumed in order to retrieve the poems for publication. Although he got the poems back and published them as The Book of Life. The story began to spread that when she was exhumed, Lizzie was still in beautiful, pristine condition and that her flaming red hair had continued to grow after death, completely filling the coffin. A bit macabre, but fascinating (and most likely untrue) story. Connection: Elizabeth Siddel (in the picture) was the sister-in-law of Christina Rossetti, whose poem, In the Bleak Midwinter, was set to music by none other than Gustav Holst. Extra Connection: As I was reading through the web pages on Elizabeth Siddel and Dante Gabriel Rossetti, I happened across a fascinating connection between the art of Botticelli and the Pre-Raphaelite school. Gradually, the medieval theme [that they had been using] was abandoned; Ruskin [a famous critic of the time] was concerned to see this obsession with the Middle Ages distancing artists from nature. 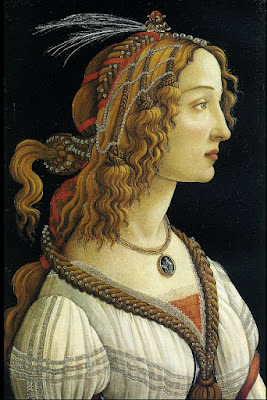 Henceforth, Burne-Jones [another PreRapahelite] and Rosetti turned to Italian art, and to Botticelli in particular. Finally, Jane Burden (1839-1914) and Elizabeth Siddal (1829-1862) – who married Morris and Rossetti respectively - became the true muses of the movement and brought a more sensual dimension to it. It's not completely improbable when you look at the pictures side-by-side. But that wasn't a connection I expected to find. 1. When searching for connections, try a search with both connection targets in the query. This seems obvious, and yet the surprise is that it works so often (and so well)! 2. Read "around" the target of your search. That is, you often will want to open up several different web pages to understand what possible connections might exist between your two targets. Be open to the possibility that there might not be any connection. Having several pages open side-by-side is a really useful strategy. 3. Connection clues sometimes show up in the oddest places. 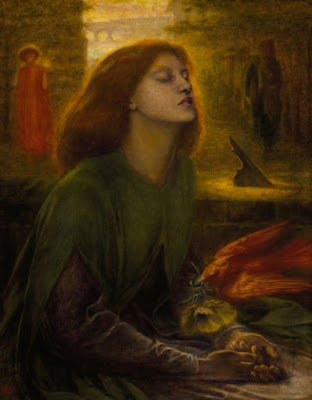 We found the connection between Holst and Siddal by looking at a Pintrest entry that linked Dante Rossetti with his sister's poem. Once we tested that connection, we found the obvious link between sisters-in-law. As I said, finding connections is something that's important for our students to learn. One important skill to get across is that while it's easy to find connections, it's a bit harder to find meaningful connections. That is, spurious connections are simple--but ones that make a difference are a bit tougher. That's why "reading around" is important. Your students should get their connection information from more than one source. ... thinkers, do-ers, builders, writers, composers, and makers is important. If you know that Mr. X somehow influenced Ms. Y, or that Organization A is somehow connected with Place B, you're a leg up on understanding how history proceeds. This past week I was struck by several connections that I discovered. These were so striking that I couldn't help but think of them as Challenges for the brilliant researchers in SRS. 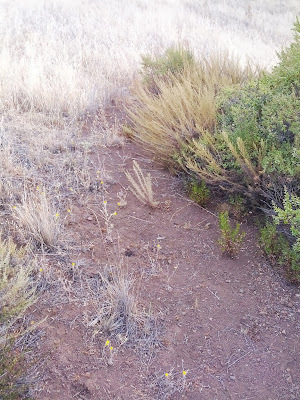 Here are three clues to surprising connections that I found this week. Can you find the connections as well? To make this a bit more like what I was doing in my reading process, I'll give you the starting points for the search. Note that I wasn't searching for a connection between these, but I found them, and was delighted. I hope you are too. My answers (with a bit of colorful background on each of the connections) next week! I thought you might find the Challenge useful because research often involves the process of searching out the possible linkages between people, ideas, and their work. ... so it's no surprise that there are some really interesting tools to fit to unusual work tasks. 1. A tool that's been used by stained glass workers since medieval times is a fid. What IS a fid? And how would you use it? reveals that its primary definition is as "a stout bar of wood or metal placed across a lower spar so as to support a higher one" (such as between the topmast and a lower mast). 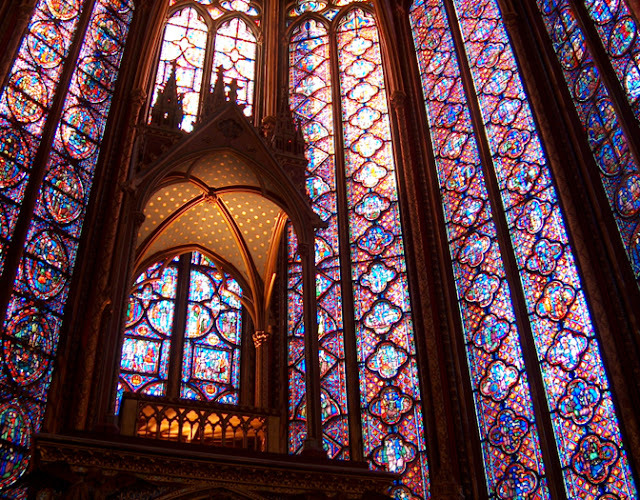 Is there any connection to stained glass? Not yet. We must go deeper. 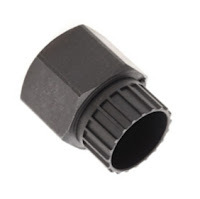 A secondary definition is as a "conical tool used for splicing rope." But what does this have to do with glazier work? It's a little widget that's used to it open up the lead channels in the "came" (the lead channels between pieces of glass), then used to push them back down. It's also used to clean off excess cement, and to "burnish" (or push down) copper foil. 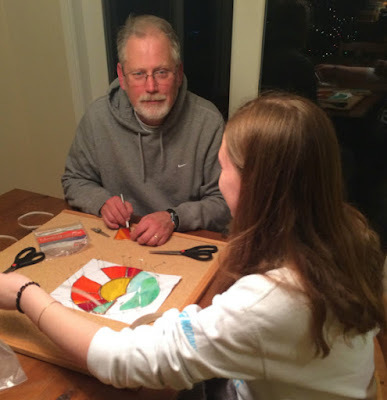 While (stained glass) fids can be beautiful and elegant (as in the above images), I just whittled one out of an old clothespin I had lying around. My daughter and I working on her first stained glass project. My fid is just to the right of my right hand. I'm using an Xacto knife to trim the copper foil. 2. What's this tool? What would you use it for? For scale, it's about 2.5 cm (1 inch) wide. With such a strange name, this isn't hard to find either, but it's a bit tricky to determine exactly what it is. Why this query? Because I figured that a "depressor" was a generic term--that is, like a "tongue depressor" and the "languid" was the thing being depressed. Aha! 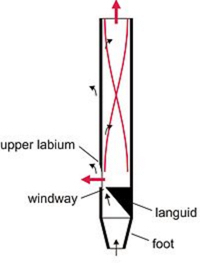 With that query, it's easy to see that the languid is an interior component of a pipe (in a pipe organ), and that a depressor would be used to adjust the height of the languid. I did a search for [ languid organ ] on YouTube, and (a little bit to my amazement) found the following video (which is the same one that Regular Reader Remmij found), showing a languid depressor in use. 4. 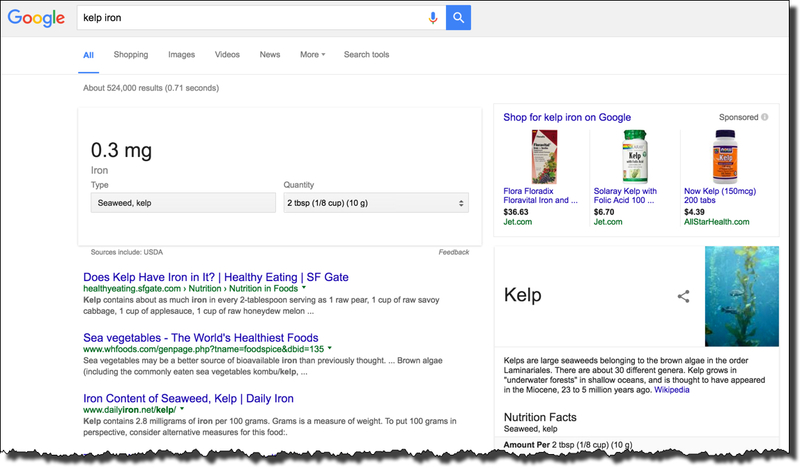 When, why, and where would you use a kelp iron? Can you find a picture of one? As everyone discovered, this was a much more difficult Challenge than the others. No surprise, as it's a tool used for an unusual job in a far-off and distant land. This turns out to be useless for our goal (of kelp iron as a tool), but very useful if you're trying to figure out how much iron is in your daily serving of kelp. The next page or two of results are all like this. What now? I did a phrase search using double quotes (so the words kelp and iron wouldn't be separated) AND I added in the word use. This turned out to give me some great results fairly far down on the SERP. The fact that these results are all in Books suggests that I repeat this query in Books.Google.com. I did that, and found these three same results. By reading these three works, I learned that the kelp iron it is a long, thin pole round 10 feet (3 meters) long with a 3 foot (1 meter) iron rod with a hook on the end. It's used to stir up kelp as it is burned to produce a kind of brittle, bluish slag that is rich in the chemicals used for creating soap and glass. 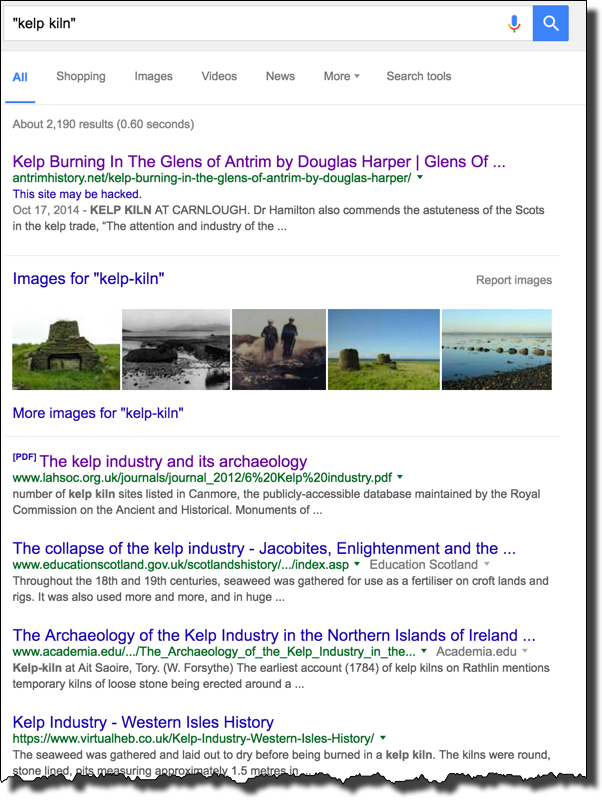 Burning kelp become an important industry along the coastlines of Scotland, Ireland, and the islands all around the northern parts of Britain. The kelp-iron is used for working the ash as the kelp burns, in order to make the burning ash of consistent consistency, leaving a high quality product without unburned chunks of kelp. In one of the books in our hit-list, Agricultural Surveys: Inverness (1808) by the Great Britain Board of Agriculture, we read that "This instrument [the kelp iron] consists of a wooden handle, similar to that of a spear or a hayrake, and of such a length, that a man can work it, standing upright: the shaft is fixed into the socket of an iron head which is six-inches (12 cm) long" and that "the kelp is thus wrought into a liquid mass without intermission, until it become stiff, which is very hard labour..."
This is great, but continued searching with "kelp iron" isn't especially productive, there just aren't that many books with this term in it. How can we expand our search terms to find more about this difficult topic? 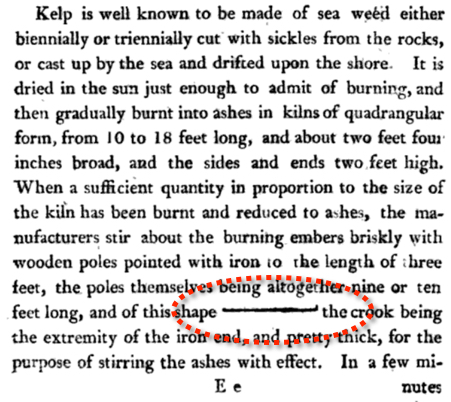 We need to find another term that's more common, but just as precise, to find more content about the kelp burning process. 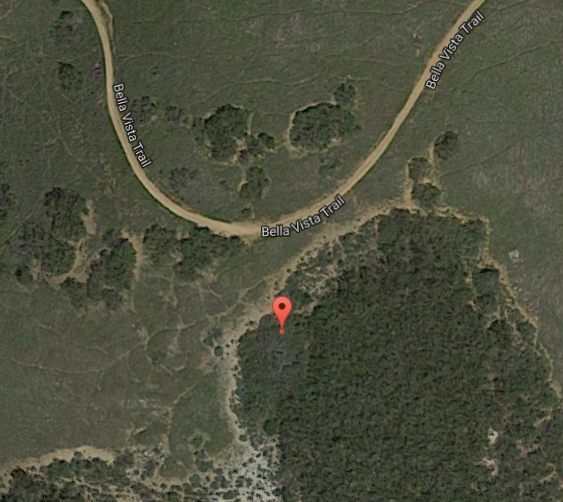 which is where the kelp was burned. These results are starting to look promising, surely the kelp kilns were worked with a kelp iron! 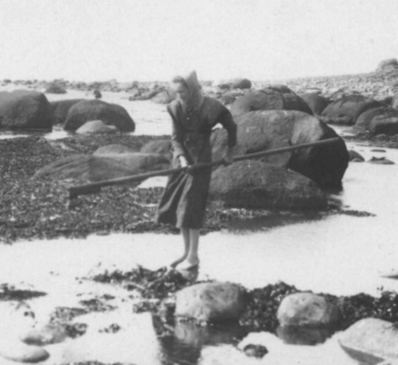 By doing a bit of reading through these results, I learned a bit more (including the promise of an image of a kelp iron in the book "Highland Folk Ways" by Isabel Grant on page 115), and found many more descriptions of the process, including many (many!) 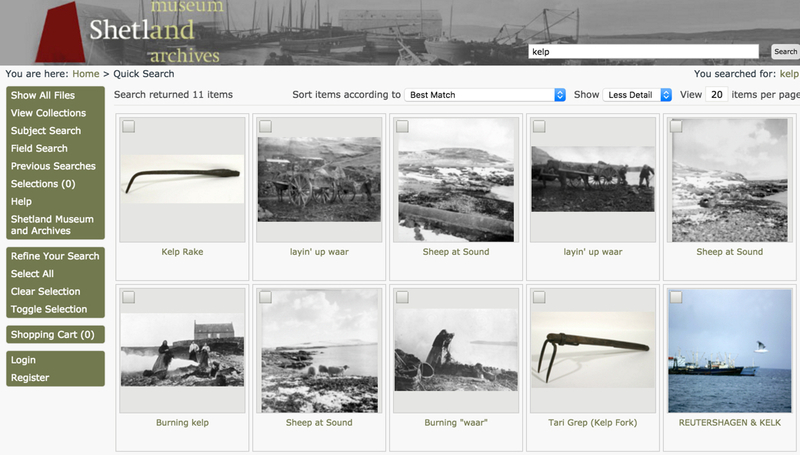 photos of kelp kilns, where the kelp was burned, and lots of pictures of people working the kelp kilns with shovels and pitchforks... (another photo of kelp workers with shovels)... but NOT the kelp irons. And this seems to be the best image (so far) of a kelp iron from Celtic lands. 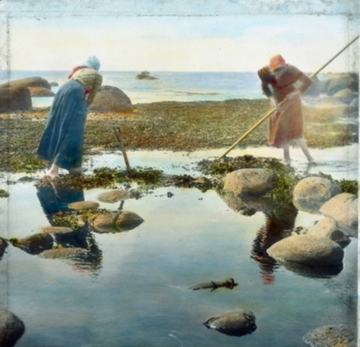 The hand-tinted photo and the black-and-white both look a lot like a kelp iron, but they seem to being used to harvest the kelp (not to stir it up in the kiln). So I suspect these are staged photos, but even so, they certainly give an impression of what a kelp iron might be. At this point, after a couple of hours of low-quality reading through search results, I was thinking to myself "How can I search through just museum websites?" This is when the INURL: operator becomes useful. Not all museums have the word "museum" in their title (think of the Smithsonian, a great museum that's found at SI.ORG), but enough do that it's worth the effort. Obviously, this is just the iron part of the kelp iron--you'd attach a 9 foot (3 meter) pole onto this. Also notice that the Shetland Museum calls this a "kelp rake." Odd thing worth knowing: if you do a query like this: [ site:photos.shetland-museum.org.uk kelp ] you WILL NOT find this kelp iron. This is why you sometimes want to use the on-site search tool--most, but obviously not all, pages on a site are indexed by Google. There are several things to pick up here. 1. Some searches require additional context terms in order to focus in on the target. The fid example required that we add in use and stained glass in order to get good high quality results. Sometimes context terms are needed to clarify the particular meaning. 2. The right context term is sometimes the general area. This was the case with the languid depressor. To get decent results, I had to eliminate the word depressor and add in the word organ, once I figured out that a languid depressor is part of an organ pipe. 3. Remember to check other media types. The best way to learn about how to use a languid depressor is to watch the video. 5. The INURL: operator can be used (imperfectly) to limit your search to a specific kind of location (e.g., museums). This doesn't always work, but in this case, it was exactly the right thing to try. This was a difficult last Challenge--but completely fun! Hope you enjoyed it as much as I did. Answer: Where's the ship in the pic?